White Wolf : A rescue facility in Costa Rica is home to nearly a thousand stray dogs. 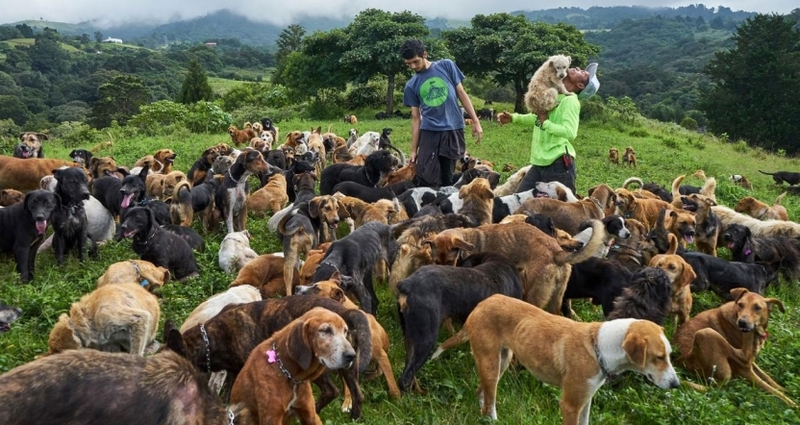 A rescue facility in Costa Rica is home to nearly a thousand stray dogs. 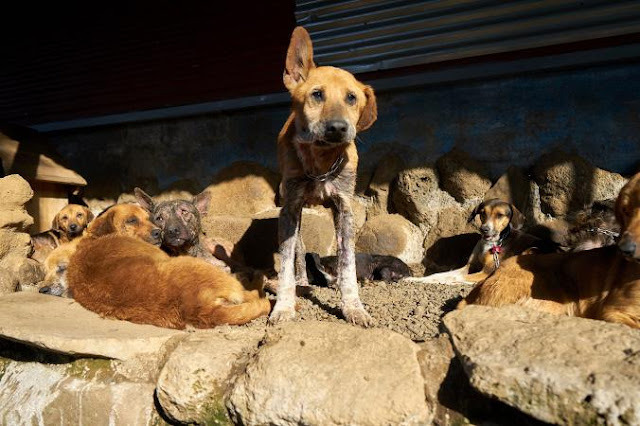 At the Territorio de Zaguates no-kill dog shelter in Costa Rica, every animal coming to live at the rescue facility gets a name. And at the moment, there are approximately 970 dogs living here. Located about an hour from downtown San José, the shelter is famed for its approximately 378 acres of tropical mountain land where scores of canines stroll, frolic, and race alongside human visitors, shelter employees, and volunteers. The vast majority of the animals are up for adoption and visitors can bring their own dogs to play with the rescues. “To look out and see hundreds of dogs running across the field was completely breathtaking to me. 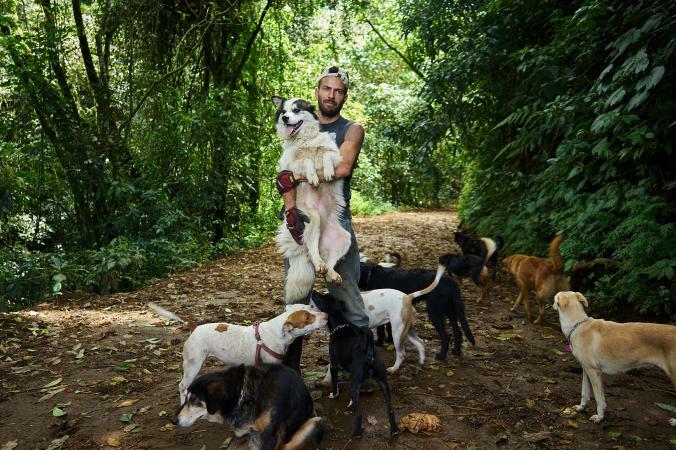 I’ve never seen anything like it,” says Giannopoulos, a self-proclaimed dog lover currently based in Nicaragua. Giannopoulos, who has spent the last few years shooting alternative cultures in the UK, thought it might be difficult to photograph a story about dogs instead of people, but says they were all friendly, curious, and well-behaved. A labrador with a paralyzed leg stuck by Giannopoulos for an entire day, waiting for him if he dropped behind the group to take pictures. When it was time for him to leave, she followed him all the way to the gate and watched him get into a taxi. “There are a lot of dogs there that you can fall in love with,” Giannopoulos says. 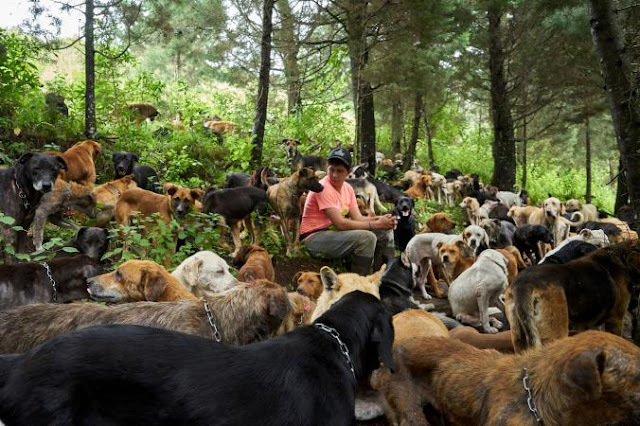 Founders Lya Battle and her husband Alvaro Saumet began taking in strays from the streets of San José about 13 years ago. When the number of dogs in the couple’s small backyard topped 100, they began the process of moving their unofficial shelter to the farm owned by Battle’s grandfather. Running the facility has not been without its challenges. They are nearing the end of an arduous process to become an official nonprofit organization in Costa Rica. They also face the daunting reality of what it takes to feed the ever-increasing number of animals—the cost of the 13 66-pound bags the dogs consume a day comes to around $600. And, after 11 dogs were found dead a short time ago, Battle worries neighbors who have been trying to buy the land from her family are resorting to sordid tactics to destroy her organization. 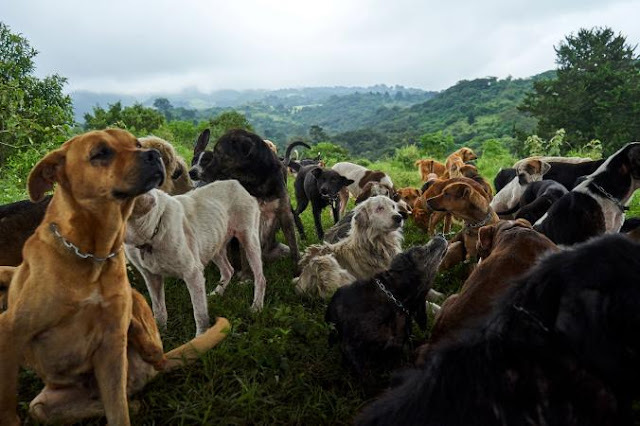 But for the dogs, Territoire de Zaguates is a haven from past lives of abandonment and neglect. One image shows José, a full-time employee of the shelter, resting his arms on the back of a dog that is standing on his lap. A mountain ridge with rainclouds above is behind José and he’s sitting in a green field covered in dogs with fur in hues of brown, black, and white. “This sums up the place for me,” says Giannopoulos. 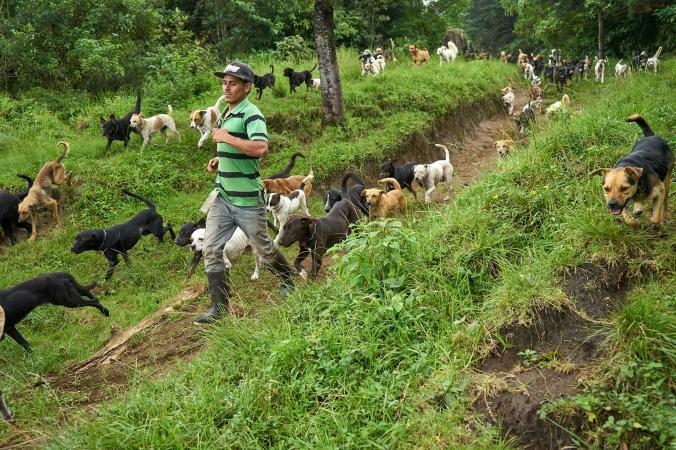 Responses to "A rescue facility in Costa Rica is home to nearly a thousand stray dogs."